Michael Ehrlich earned his PhD from Princeton University in Economics over 25 years ago, but did not initially want to stay in academia because it was “too slow.” He spent a year as an analyst at Lehman Brothers, seven years as an arbitrage trader at Salomon Brothers, three years as the senior managing director at Bear Stearns, and nine years at FineStar Imaging LLC, which he successfully sold in 2007. Though he never saw a life for himself in academia, he currently teaches at the New Jersey Institute of Technology as an Assistant Professor and mentors students at NYU’s Stern Business School Berkley Center for Entrepreneurs. As a member of the New Jersey Institute of Technology’s faculty, he has done a lot for business students and up-and-coming entrepreneurs. He organized the Newark Innovation Acceleration Challenge, where the winning teams were awarded seed capital for their start-ups. He conducted research with fellow professor William Rapp regarding the housing bubble, which showed that sometimes “there may be good bubbles.” His students and colleagues praise him for his engaging lectures, wealth of knowledge in the world of business, and his professionalism. His research focuses on financial markets and institutions, with an emphasis on market failures. 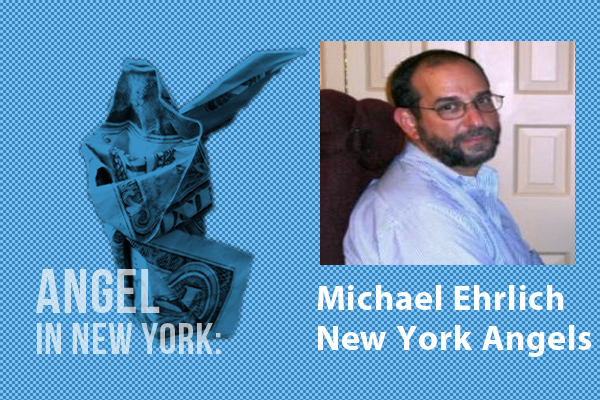 As a member of the New York Angels, he helps invest between $100,000-$1,000,000 in early stage companies. The group pools its money to make large investments, mentors entrepreneurs to help them achieve their goals, and makes introductions to help accelerate their growth. He gave a TED talk at the New Jersey Institute of Technology called “Is Your ‘Million Dollar Idea’ a Viable Business Concept?”, where he discussed how first-time entrepreneurs can pitch their ideas to get the most funding possible. His years of experience, education, and approachable nature make him the ideal candidate to teach young business students about how to make the most of their start-ups.